Order The First 7 Episodes on DVD and SAVE! Receive the first 7 Episodes of Mineral Expeditions Season 1 for only $9.99 per DVD. DVDs include special bonus footage not scene online or broadcast. Each Epiosode of Mineral Expeditions with Tim Glidewell is both Entertaining and Educational. Sure to be enjoyed for years to come by yourself, friends and family. 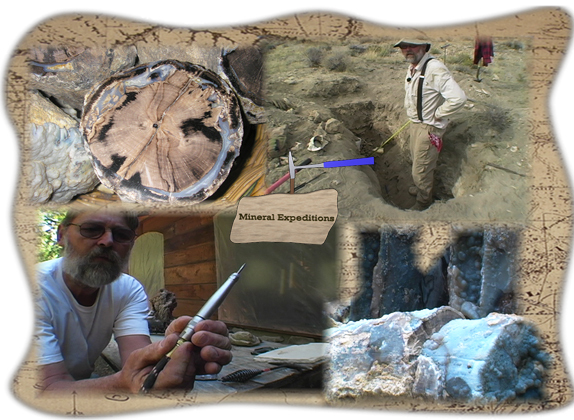 Watch and experience Mineral Expeditions with Tim Glidewell in it's full standard DVD resolution: all the Detail, all the Digs, all the Expeditions! USA, Australia, New Zealand, Canada, South America, Mexico, France, Germany, Europe and United Kingdom payment available via PAYPAL. Shipping to USA and Canda FREE. Other international shipping is $10.00. We ship worldwide. Contact us via e-mail for any international shipping questions.